SparkFun Force Sensitive Resistor 0.5"
St. Patrick’s Day is here and it’s given us a good excuse to drink beer at work! For this festive occasion we give you: The Chug Meter. Now we can settle once and for all - who is the fastest chugger of ‘em all? First of all, we recommend you start drinking after you make the counter. It may seem obvious, but we’re just making sure here. The magic link will redirect you to circuito.io, where you will find the pre-selected components. And basically go wild - it's St. Patrick's Day! After you click Generate go through the 3 parts of the reply: BoM, Step-by-step wiring guide and Code. Follow the instructions carefully and let us know if you need any help by commenting below. Replace the sample code you got in the circuito.io reply with the code attached in this tutorial. 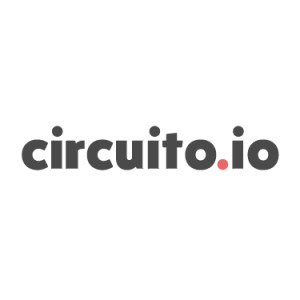 Copy the code and paste it into the Firmware tab of the sample code from circuito.io. This way, all the component libraries will remain as they are, and only the main function will change. Tape the FSR (Force Sensitive Resistor) under the beer coaster. Once the force is released (=the pint is lifted) the counter starts running. When the pint is put back on the coaster - the timer stops and you can reset it with the button. 3D print the 7-segment case. Happy St. Patrick’s Day! Drink responsibly! //if button is not pushed function will return LOW (0). if it is pushed function will return HIGH (1). //try also pushButton.onPress(), .onRelease() and .onChange() for debounce.